Kidnappers are jacking the DNA of some of Mega-City One's most elite citizens, then growing clones to torture on live TV -- unless the elite pay up big-time. There's only one Judge tough enough to stop them, and he's just signed on to be the bagman. 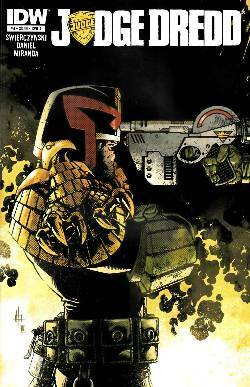 But a double-cross within the Justice Department sends Dredd straight into the crosshairs of hundreds of perps who would love to relieve a Judge of all that money.